Amir Agha Qazalbash had emerged as a fresh poetic voice and had soon become a leading poet of Delhi. His poetry, style and looks endeared him to the audience who cheered his arrival at mushairas. 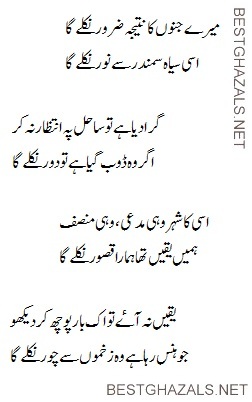 Here is a ghazal, the third couplet of which is famous across the Urdu world and is an oft-quoted 'sher'.